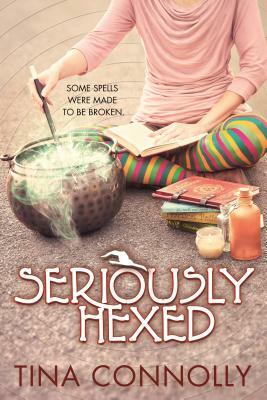 Tina Connolly continues the hilarious adventures of teen witch Camellia and her mother, wicked witch Sarmine, in Seriously Hexed, the latest installment to the Andre Norton Award-nominated "Seriously Wicked" series. New acquaintance Poppy Jones, on the other hand, is a Type A, A+ Student of True Witchery. She’s got all the answers, and she’s delighted to tangle with a bunch of wicked witches. She doesn’t need any reluctant witch getting in her way, especially one who knows less than a dozen spells, and has zero plans for witch college. But when a coven meeting goes drastically awry, Cam and Poppy have no choice but to team up. A hex is taking down all thirteen members of the coven, one by one—putting both girls’ mothers in jeopardy. They're going to have to learn to work together, while simultaneously juggling werewolf puppies, celebrity demons, thirteen nasty hexes, and even nastier witches.